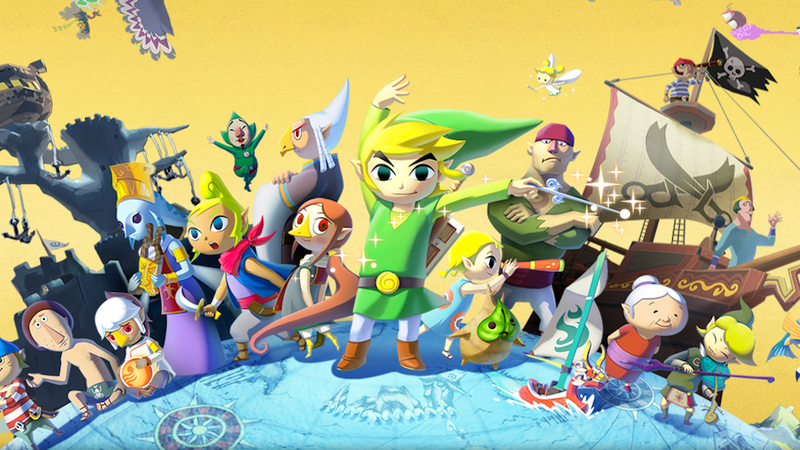 It's fascinating, picking up The Legend of Zelda: Wind Waker for the first time. You get something like culture shock—holy crap, everything's so bright! The faces are so goofy. Is that really what Link's grandma looks like? And then... after 10 or 15 minutes, you start to get it. Ah, yes. Here's why this is the second-best Zelda game. Over the past few days, I've been watching a friend play the HD version of Wind Waker—officially out for Wii U tomorrow (although you can already buy a digital copy)—and I've rediscovered just how great a game it is. Luke's already explained why: the spectacular visuals, that wonderful feeling of exploration, the musical combat, etc. He also talked a lot about the Wii U version's big changes, like high-speed sailing, improved visuals, and the overhauled Triforce Quest. But there's a whole lot more to this remake, and some of the most granular changes might actually be the most useful ones. NeoGAF poster Nyoro SF has compiled a pretty detailed list of tweaks that Nintendo has made to the latest Zelda, and some of them are essential: text speed is faster; photos get ratings as soon as you snap them; the beat of music starts when you conduct the first note, instead of beforehand. When you're sailing, hits won't knock you off the boat anymore. Getting items out of the sea is quicker. You can change the direction of your grapple mid-swing. Lots of little things that make a big difference. OK, your turn. Post your favorite minor Wind Waker change below.